We just got a first look at the OnePlus 2 earlier this morning. Now a new report reveals that the new phone could arrive as soon as next month, along with a list of possible hardware specs and a potential price. 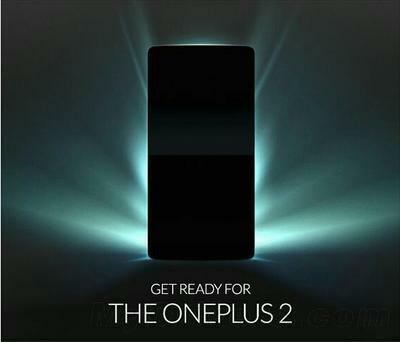 MyDrivers reports that the OnePlus 2 will be unveiled at a press conference in July, citing some unnamed sources that have apparently been accurate in the past. The device will allegedly pack a Snapdragon 810 processor, 3GB of RAM, a 1080p display and a 13-megapixel camera. We’re also expecting a 5.5-inch display and a bigger battery. As for the price, the same sources claim the OnePlus 2 will cost 1,999 yuan. That’s roughly $320, which could make it just slightly more expensive than the $299 OnePlus One. MyDrivers notes that this is just one configuration, so it’s possible other versions of the flagship phone could be a little cheaper or a little more expensive. We’re still waiting for OnePlus to fill us in on the official details, and hopefully that news really is coming next month. The company hasn’t sent out any invites yet—at least not to our knowledge—but that doesn’t mean an event won’t be announced in the next few weeks. We also wouldn’t be surprised to see more OnePlus 2 information trickle out in the near future, so check back soon for the latest on the upcoming flagship phone.